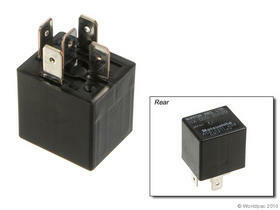 Fit note: ABS actuator relay #2 (for ABS valve)., Production: 07/01/1989-, ABS actuator relay #2 (for ABS valve). Quick shipping and a part that worked. This was my first order with Autoplicity. I was pleasantly surprised when my order showed up quickly and was exactly what I wanted. I will be buying from this company again. Thanks for the quick service and fair pricing. Autoplicity had a MSD Timing Twister that was discontinued and no one had in stock. I called 6 places before getting in touch with them. Ordered part and had it in a matter of days. The items shipped and arrived really fast. This was a great transaction even though shipping was a little high. I was surprise to the how fast the order was shipped and the item is just like describe and the lowest price on the internet. I am very satisfy.